While we love WordPress, it’s not always the right fit for every project. We listen to our client’s vision, ideas and specific marketing goals and strategize a solution. If functionality requirements extend beyond WordPress capabilities, we explore other, often custom-developed, solutions. It isn’t always cost effective to reinvent the wheel. While we develop customized solutions for many clients, when appropriate, we seamlessly integrate the power of established, third-party APIs not only to cut down on development costs but also to incorporate systems that clients might already be using, such as Salesforce, Marketo, Authorize.net, Google Maps, and popular social apps. Working with third-party tools can be a huge time saver—or a complete disaster. We have the experience to determine the most effective solution for our clients. Before jumping in, we consider the usability, performance, scalability, flexibility, and cost of the tool or API while also weighing the stability of the company behind the tool. As a result, clients receive a stable, feature-rich, website without dropping the time and money into a custom-developed solution. We’ve built a number of WordPress plugins from the ground up—take a look. Easily create Tracking Events to be sent to Google Analytics. This plugin only adds the Tracking Script to your website and does not offer any reports. This is a plugin helper to allow you to easily set up an external API on Gravity Form Submissions. You can link multiple API calls to a single Gravity Form Submission. This plugin allows the data stored by Gravity forms and other plugins to be encrypted and even sent to another database, if needed. The plugin allows for symmetric and a-symmetric encryption. We custom-built an interactive program selection tool, which allows visitors to sort, search, and filter through programs via a variety of options—including, theme, availability, country, keywords, popularity, price, duration, and so on. 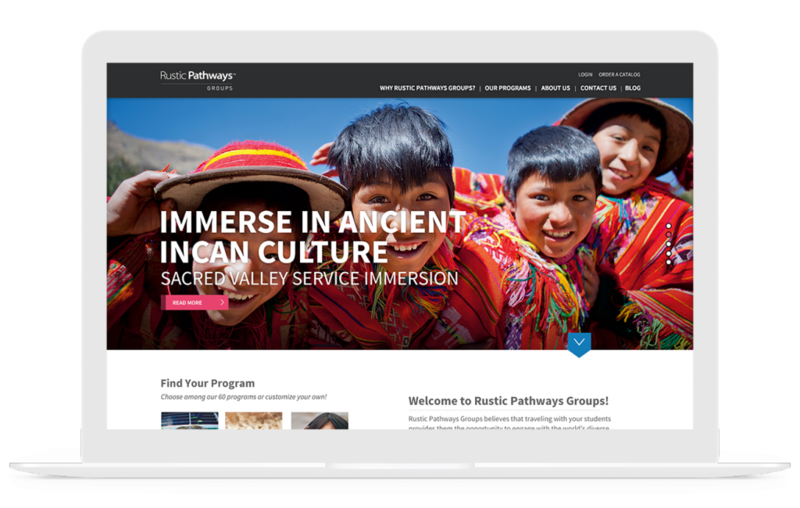 Because CMS filters wouldn’t enable us to produce results instantly, our development team took a step back and custom-developed a system that makes straight calls to the database, populating immediate results when a visitor searches for something like: local immersion in Peru, during March and April, that includes a lot of hiking.